Nintendo has shared new details on the first of two planned expansion packs for The Legend of Zelda: Breath of the Wild. Dubbed The Master Trials, the DLC will arrive this summer with a wealth of new content as outlined below. By reaching a “certain sacred location,” players can take on the new Trial of the Sword challenge. The challenge consists of traversing 45 rooms filled with various enemies that Link must fight off. To make things interesting, he’ll start without any equipment or weapons. Completing the challenge will awaken “the true power of the Master Sword” meaning it’ll always be in its glowing, powered-up state when usable. One of the more interesting new features is Hero’s Path Mode. This map feature essentially tracks the path Link has made through Hyrule over the past 200 hours of gameplay. Given the vast size of the map, this mode could be incredibly handy for keeping tabs on where you’ve already visited and what areas still need to be explored. Those looking for a bit more difficulty will appreciate the new Hard Mode. As the name suggests, this new mode boosts the “rank” of enemies and increases the chances of coming across difficult-to-defeat baddies. 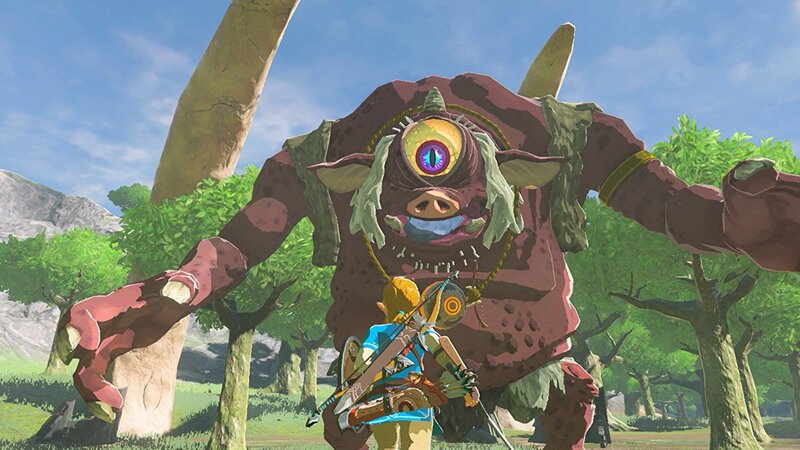 Enemies in this mode will also slowly recover health during battle and will be able to more easily spot Link as he approaches. The Master Trials will further include a new treasure chest located somewhere on the map that contains a Travel Medallion. Using this item, players will be able to create a temporary fast travel point to that location on the map. There’s also a Korok Mask to help locate Korok seeds and eight new pieces of equipment inspired by characters and earlier games in the franchise.